Bathroom Countertops by Creative Surfaces of Black Hills. We were featured in the September issue of Black Hills Magazine with a feature article on “Bath Retreats – YOUR BATH…your Soothing space”. Pick up your copy of the Black Hills Builder Magazine and turn to Page 20 for the full story. When building a new home or remodeling, more and more homeowners are making the master bathroom a showpiece. A luxurious master bathroom can help speed the sale of your home and can also deliver a return on your investment. Many luxury baths will feature tiled showers and flooring, large decorative mirrors, paint and accessories that create a tranquil atmosphere. Some homeowners prefer to have a wall mounted television to enjoy their morning brew while getting ready for the day. 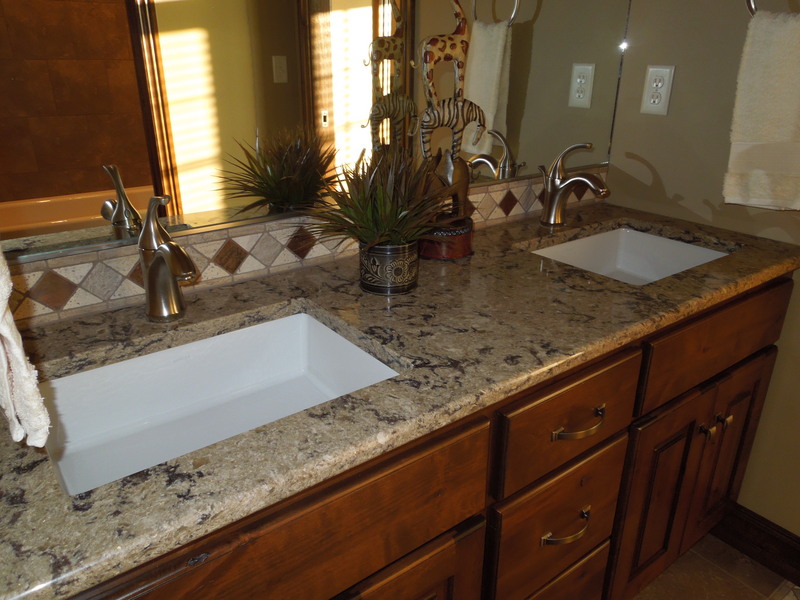 The focal point in any bathroom tends to be the vanity and countertops. 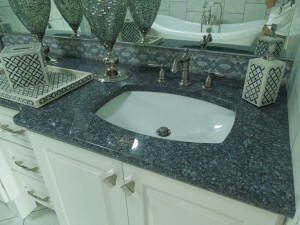 The bathroom countertop is a key component when designing your luxury bath. While some homes are appropriate for laminate counter; quartz and granite countertops with decorative tile backsplashes of glass and stone mosiacs are the trend for your luxury master bath. 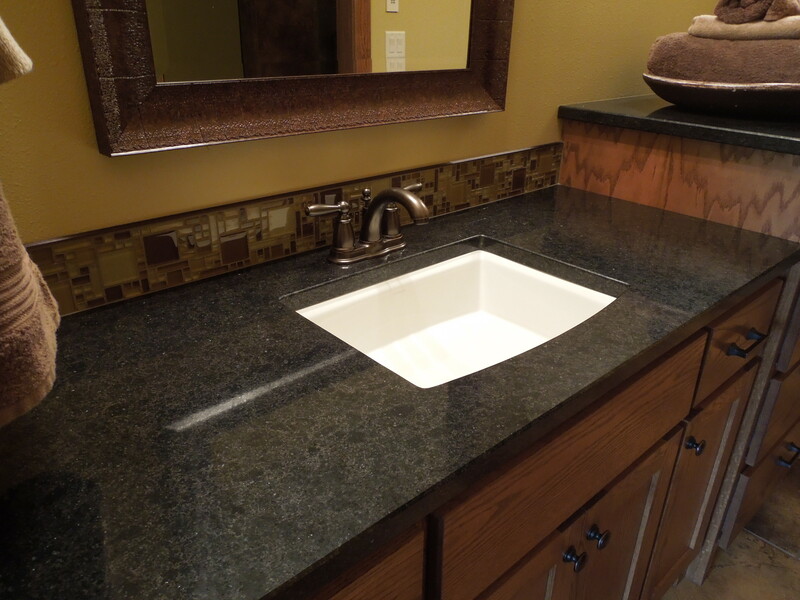 At Creative Surfaces, bathroom countertops is our speciality. We do a variety of countertops including laminate counters, business countertops and commercial bathroom countertops.